I went to make a transaction today and what do ya know, this beauty rolls up. The driver got out and quickly walked inside before I could even say, "Nice car!". Thankfully I had my DSLR with me and proceeded to get a few shots from afar. I guess the owner saw me drooling over it and walked out with a smile saying, "Hey, go crazy! open it up and get some sweet shots." He then proceeded to walk back inside. So, I took advantage of his offer, opened up the driver side door and sat inside. The owner eventually walked back out and proceeded to introduce himself. He was the owner of a brand new dealership that just opened up here in Southlake, Texas. He began telling me about how this isn't any ordinary Eleanor replica. 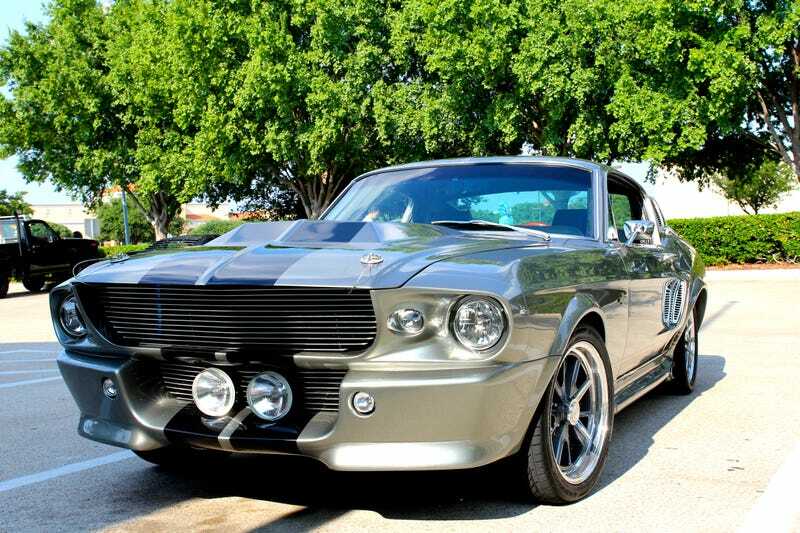 Something about it being one of the only Eleanors registered with Shelby, and something about it being in the movie. I can't quite remember. I ws just nodding my head as I stared at the car. He then told me this is the only muscle car he enjoys driving since super cars are more of his "forte". "I drove a McLaren MP4-12C to work this morning", he said. Nice. We shook hands and he got in and drove off. I think i peed my pants listing to that sweet rumble as it drove away. Not a bad Monday.